Welcome! 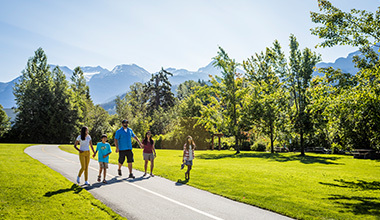 Whistler is located a short, stunning drive north of Vancouver in British Columbia, a year-round vacation destination and hot spot for adventure-seeking LGBTQI travellers. We're proud to be considered by many as the "the largest gay-friendly mountain resort in North America" where diversity is celebrated as a way of life. TAG (Travel Alternatives Group) is an initiative of Community Marketing in San Francisco, approving hotels based on recognized gay-friendly standards and criteria. In order to be TAG Approved®, properties enforce non-discriminatory policies including sexual orientation and treat heterosexual and domestic partners equally in personnel policies; they provide diversity and sensitivity training for employees and employ staff that reflect the diversity of the community, including gay and lesbian employees in all levels of employment. Tourism Whistler provides diversity and sensitivity staff training. and our agents live, work and play in Whistler. Book online or call us directly in Whistler, British Columbia, at 1.800.944.7853 for assistance with your vacation. 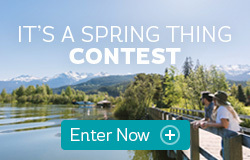 GayWhistler is a year-round promoter of Whistler to the gay and lesbian community and produces and promotes GayWhistler ski week, Whistler Pride and Ski Festival, every year. Alpenglow Productions Corporation (APC) is a gay and lesbian travel and event company creating gay-welcoming destinations and events at partner resorts. The GayWhistler/Alpenglow Team, in partnership, is dedicated to bringing alternative vacation options to the gay and lesbian community worldwide. Vancouver is host to many summer events in celebration of Gay Pride. The Whistler Pride and Ski Festival is celebrating 25 years in the resort and a relationship filled with inclusivity and mutual respect. Marriage equality is officially and legally celebrated in the province of British Columbia. Get married in a picture-perfect mountain setting.